The French are turning up in their thousands and hundreds of thousands. 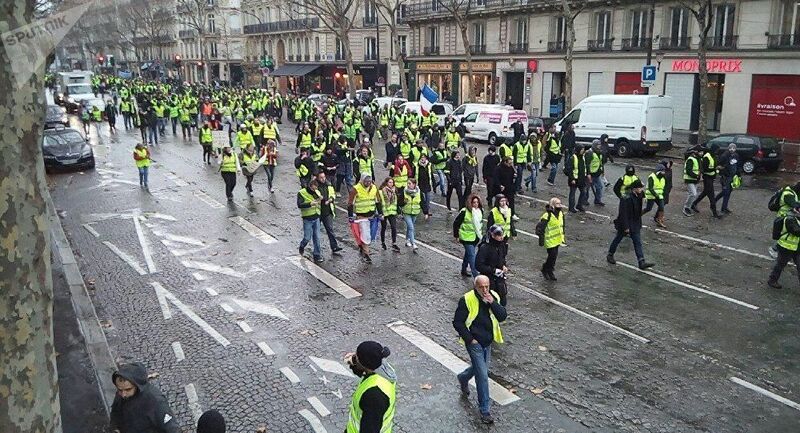 They’ve had enough of the aloof, out-of-touch President Macron, his electricity and gas price increases and they disbelieve the climate scare, so when he hiked fuel prices the people finally took to the streets. 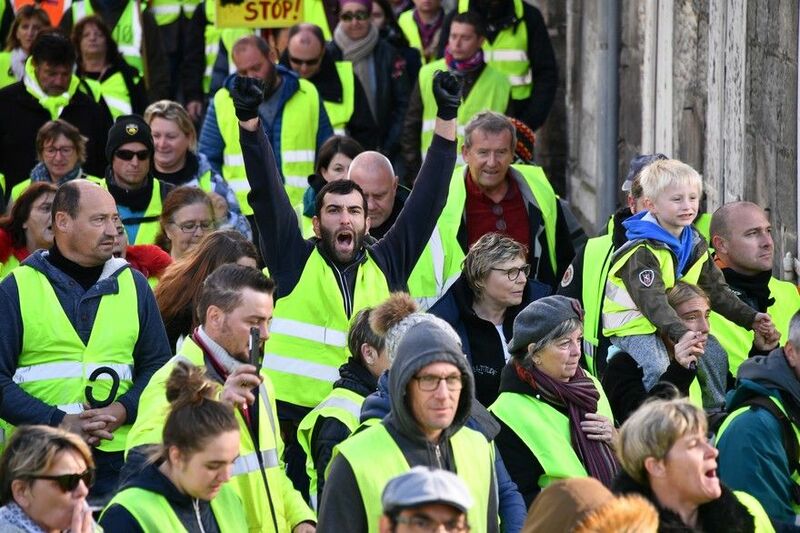 In towns and cities across the nation they don their ‘gilets jaunes’, join orderly assemblies, listen to speeches and march through the community in solidarity against an increasingly alienated President Macron. Our own government is heading down the same road. Let us hope some of Jacinda’s socialist gang note this outstanding failure of French leadership and avoid repeating it. The protesters’ courage has done us here in New Zealand a huge favour, showing any boneheaded leader the presence in the modern society of lawlessness. Claire Trevett was moved to opine comically in this morning’s Herald: “New Zealanders are more prone to mumbling into their Milo than hurling flaming torches on the streets.” Perhaps she was hoping we’d read it and have second thoughts. But eventually even we get riled up. That’s a lot of anti-green protesters! But how many green delegates does it take to decarbonise a light bulb? “The Australian” reports a few figures from the 2-week long Katowice party, where 22,771 people have turned up, including 13,898 voting delegates and 1,541 journalists. All but a handful have travelled by jet planes (some private). Guinea tops the list with 406 delegates. DR Congo has 237, Ivory Coast has 208 (half of last year) and Indonesia 191. Kyrgyzstan sent an all-female team of 7, while neighbouring Tajikistan has an all-male group of 10. The conference is scheduled to be in session for 112 hours, so each delegate can only be given one opportunity to say his/her piece, for an average of just under 30 seconds each. This is not a great decision-making model – especially when the issues are complex and all decisions must be made by consensus. With widespread compassionate instincts such as yours we will be saved. “That’s what a United Nations special climate report calls for in 12 years, with a carbon tax of $5,500 per ton—equal to $49 per gallon of gasoline or diesel. That’s about 100 times today’s average state and federal motor fuels tax in the USA. By 2100, the U.N. estimates that a carbon tax of $27,000 per ton is needed—$240 per gallon—to limit global warming to no more than 1.5 degrees Celsius. Of course, that isn’t going to happen. The economic wreckage of such a punitive tax would plunge the global economy into a permanent depression—and that’s assuming politicians could enact such huge tax increases over the will of their voters. (P27) ” NZIER estimates an annual average emissions price in the range of $272 per tonne of carbon dioxide equivalent (CO2-e) if we see innovation across energy, transport and agriculture, or $845 per tonne of CO2-e if we expect innovation only in energy and transport”. So, if somebody comes up with a cost-free and wholly effective methane vaccine quite soon, New Zealand motorists will save a lot of money. However, there is no evidence at all that this is likely to happen. We can look forward to Government-directed petrol price increases of at least 63 cents per litre. But the more likely figure is an extra $1.94 per litre. And this will have to be quite soon, if we are to get on to the approved “pathway”. However, our Government also has its “let them eat cake” solution. Les gilets jaunes just don’t know when they are well off!